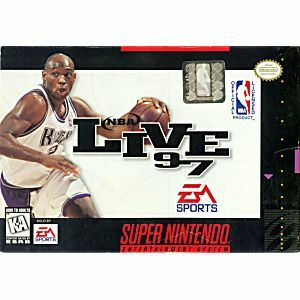 NBA Live 97 SNES Super Nintendo Game Cartridge Cleaned Tested and Guaranteed to Work! The third installment of the NBA Live series! 2-on-2 and 3-on-3 half court games. 3-Point and Shoot Out competitions. 1996-97 updated rosters including rookies and over 300 NBA stars. All 29 NBA teams plus 2 NBA All-Star and 4 custom teams. Complete stats and ratings for all players, plus stat tracking during season play. Exhibition, Playoffs, and full 1996-97 NBA Schedule Season play. 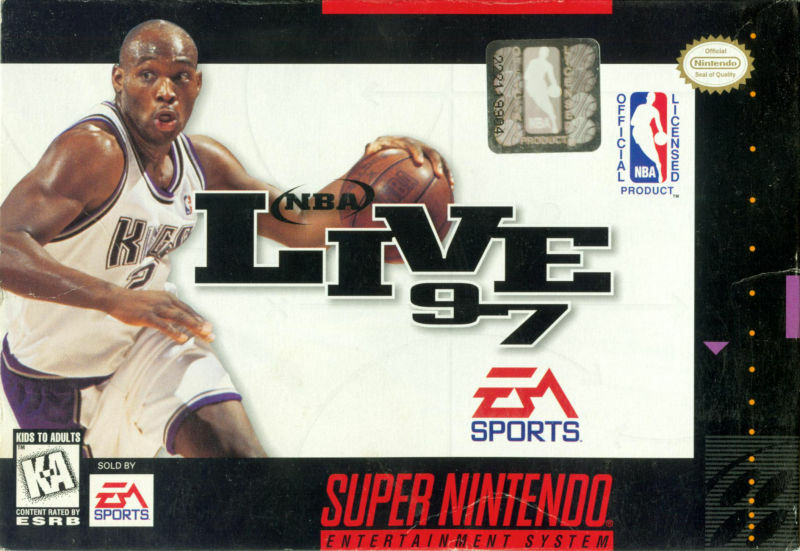 NBA Live 97 is Good Game But It had Michael Jordan Charles Barkley As Roster Players. I like this game but am disappointed it doesn't have Michael Jordan or Charles Barkley in it. It's still a good game though.